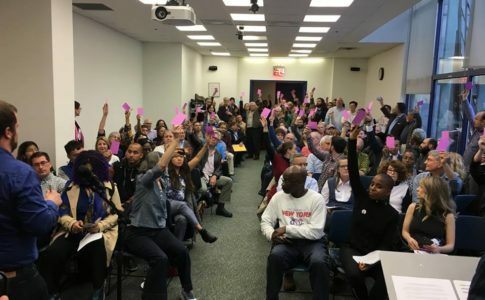 On April 9, over 10,000 nurses employed at Montefiore, NY Presbyterian and Mount Sinai hospitals received news of a “groundbreaking TA” after six months of negotiation. The union’s e-blast described a four-year tentative agreement with $100 million towards “enforceable staffing ratios.” In a New York Times article released the following day, NYSNA Vice President Anthony Ciampa called the deal “historic.” He states, “We now have a voice in the process and a real say and a real mechanism in which to challenge patterns of staffing shortages and to get those rectified.” A telemetry nurse, Ciampa has been on union release for the last few years, working full-time for NYSNA. In addition to serving on the Board of Directors, Ciampa is on the executive and bargaining committee of New York-Presbyterian Columbia Hospital. The Memorandum of Agreement (MOA) was released to members on April 12 and is pending ratification by vote. Contrary to the union’s messaging, the MOA does not outline specific ratios or grids. Instead, it sets terms for the creation of ad-hoc “Allocation Committees” of NYSNA executive committees and hospital management. The committees would meet five days after ratification to negotiate the placement of new positions. In addition to an estimated 643 new RN positions, the TA includes terms for 807 vacancies spread across five hospitals. The battle for a fair contract has been a grueling process. While contracts were set to expire on December 31, 2018, members received bargaining surveys as far back as December 2017. 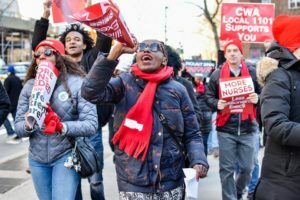 By early summer 2018, union activists and staff were circulating units, collecting nearly 7,000 surveys that indicated nurses’ highest-ranking priorities were staffing, health benefits, and wages. 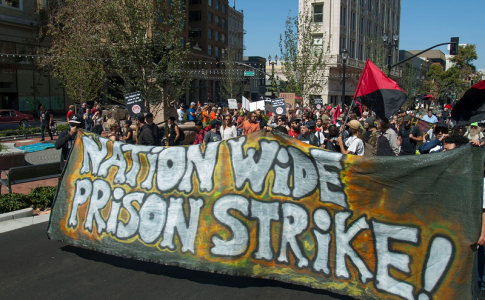 In the months that followed, the union held multi-facility private-sector conferences to discuss shared demands and bargaining strategies. Hundreds of nurses were recruited to “contract action teams” (CAT) and attending trainings on how to build a contract campaign and organize their co-workers. When negotiations launched in late October, over a thousand nurses attended bargaining sessions and gave poignant testimonies. 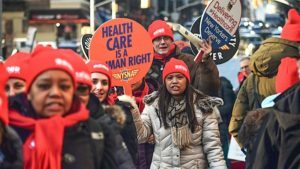 While some progress was made on local demands, the “global demands” such as wage increases, retiree healthcare, and safe staffing saw little movement.In the face of employers’ intransigence, the union escalated the fight. 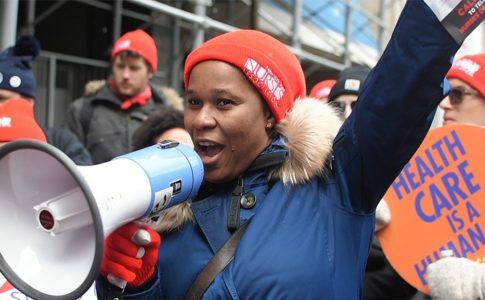 In February, nurses held a dozen informational pickets across the city. Soon after, members gave the bargaining committees a powerful mandate: a 97% strike authorization vote across the three healthcare systems. The slogan, “Safe staffing or strike” resonated throughout the rank and file. Seeing little progress besides an offer of a 3% wage hike, on March 18, the union announced plans to strike beginning April 2. Shop stewards, CATs, and members prepared feverishly. The units were electrified with constant talk of strike. NYSNA’s printers couldn’t keep up with the high demand for strike manuals. The facebook frame, “#StrikeReady: Stand with NYC Nurses” was adopted by members and supporters. Letters of support, videos, and solidarity photos streamed in from firefighters, teachers, nurses, elected officials. When managers attempted to intimidate probationary employees, nurses pushed back and served a cease and desist letter to employers. 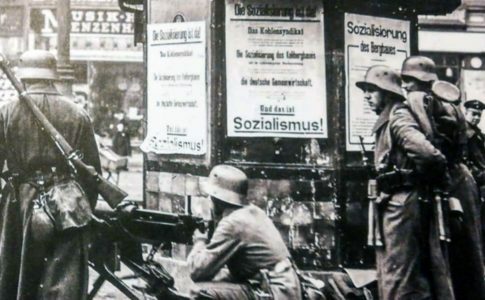 Their resolve was stronger than ever. United, they steadily pushed employers against the ropes. Then on March 22, the hospitals offered $50 million for staffing and $4 million per year for pre-65 retiree health coverage. In exchange for bargaining these new terms, the employers demanded that NYSNA withdraw the strike. If not, they contended, they would be forced to spend upwards of $15 million on a scab deposit. The bargaining committee members were given less than an hour to deliberate and in the end, voted in favor of lifting the strike notice to negotiate on the new terms. To the chagrin of many rank-and-file nurse activists, the decision was taken without consulting members, CATs, or shop stewards. 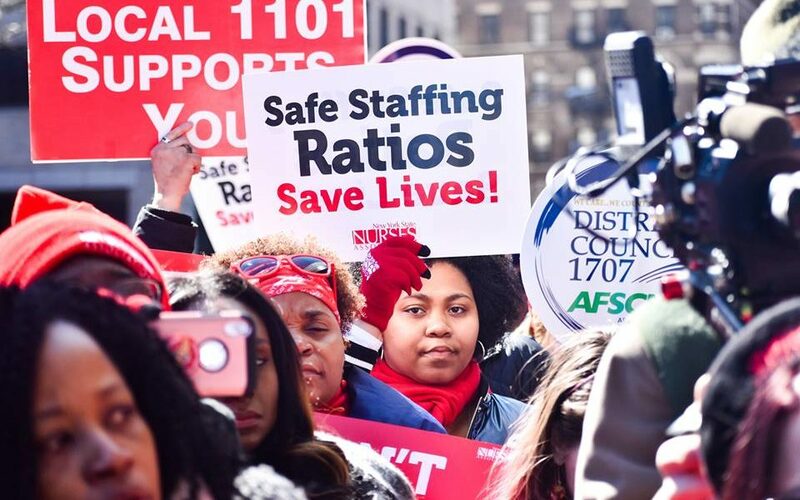 In the days and weeks that followed, NYSNA leaders insisted they were merely postponing the strike and would reinstate the 10-day notice without hesitation if they did not make significant progress on safe staffing. The committees came to agreements on local demands; however, there was in fact little progress on staffing over the following weeks. April 2 came and went. The specter of a massive nurses’ strike was pushed further and further into the distance. Nurses who were geared up to strike waited apprehensively. 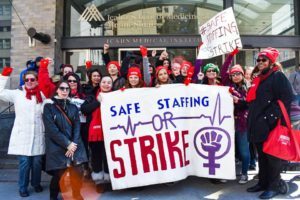 On April 6, rank-and-file nurses at Mount Sinai circulated an “Urgent message to NYSNA bargaining committees,” asking union leaders to put in the strike notice. Within 24 hours, hundreds of nurses signed on. The last few days of bargaining saw a ripple of rank-and-file activity. Dozens of members attended bargaining sessions before shift and after shift, into the wee hours. 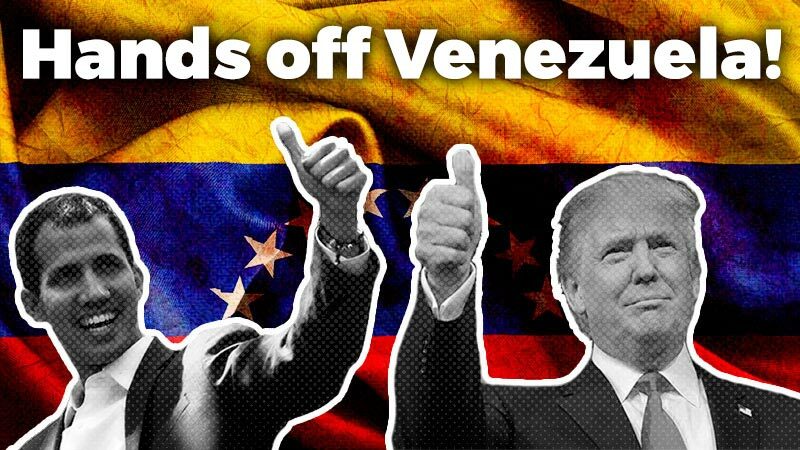 Finally, a deal was reached on Tuesday, April 9. In the blink of an eye, the 3 year contract was extended to 4 years, which would lock nurses into the deal with no recourse for strike action. The union’s official channels are celebrating the outcome of the negotiations. However, the TA has come as a bitter surprise to many. Immediately after the TA was announced, members raised concerns about the weakness of enforcement terms, which currently do not include grids, specific time frames, or monetary penalties. Some nurses are expressing outright disappointment and anger. Others have stated they will vote against the contract. 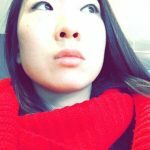 The deal’s $100 million toward staffing – broken into four years and divided among three mammoth healthcare systems – comes to an estimated 55 RNs per year for Montefiore (Moses, Children’s Hospital, Weiler, and Wakefield), 37 RNs for The Mount Sinai Hospital, 9 RNs for Mount Sinai West, 9 RNs for Mount Sinai St. Luke’s, and 55 RNs for NewYork-Presbyterian (Columbia and Allen). According to the TA, employers will “expeditiously” fill the 800 some vacancies, under no specific time frame. While any amount of additional nursing staff is badly needed, this deal falls far short of addressing staffing needs. With a deficit of about 1,000 nurses in order to achieve safe staffing on par with California, 37 nurses per year on top of Mount Sinai’s estimated 3,500 nurse workforce would be a “drop in the bucket” when the emergency department alone is short some 50-100 nurses. Union leadership lifted the strike without consulting members, giving up their strongest weapon and leaving nurses in a weaker position to bargain for transformations at their workplace. To many nurses, the current agreement is sorely lacking on staffing. If ratified, the contract suspends strike activity, takes the fight for staffing out of members’ hands, and leaves the concrete grids/ratios for later, to the morass of bureaucratic procedures, arbitration, and management meetings. Members are justifiably suspicious; it is difficult to believe that what could not be accomplished during negotiations even with an immediate strike threat could be accomplished through meetings with management over the next four years. It is not hard to imagine that executive committees will go to these meetings with their hands tied and members demobilized. 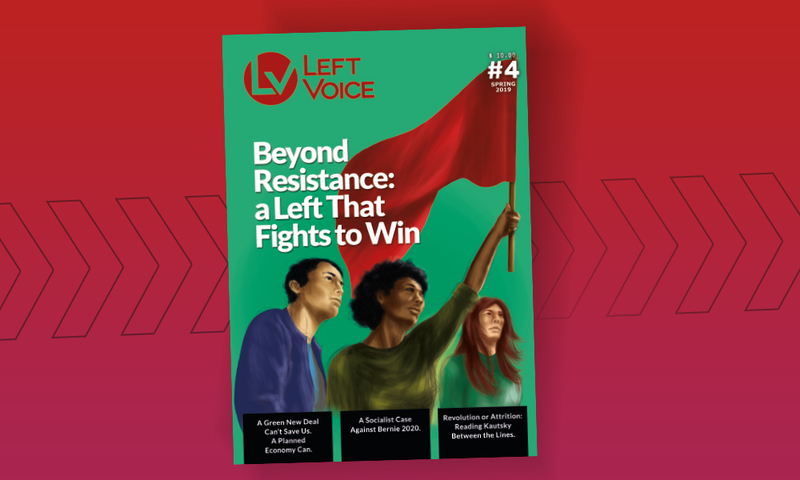 At this critical juncture, for tens of thousands of nurses the real possibilities and solutions lie in the unity, activism, and democratic self-organization of rank-and-file members.